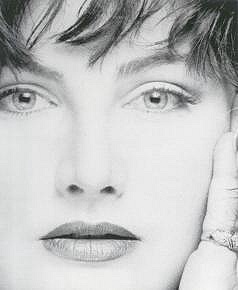 Kimberly Brooke made her start as a "high fashion" model in 1980 when she won the title of Miss Idaho "Face of the 80's" with the Eileen Ford Agency in New York. In 1983, she became "Miss Chrysler" and continued with a successful international modeling career. Her travels included work in Milan, Italy mastering the European market. The Kim Brooke Group opened in March of 1990 and is the only agency in the NorthWest covering all ranges of people. We represent models & talent from Babies to Grandparents - all ages, types, shapes, and sizes. We work with real people as well as characters and fashion! Kim Brooke is very involved in the day to day process of creating models & talent as well as booking clients, too. Kim works A through Z with beginners to professionals. Kimberly is very active in her community as well. She works regularly with the Miss Washington Pageants, Hawaiian Tropic International, Seafair, and such charities as the Ronald McDonald House. Kim keeps up with the cutting edge of fashion and current trends by promoting her own Holistic skin care and make-up line! Kim's hand is always on the pulse of the Industry.